Following cash on the road to recovery. The way donors and NGOs respond to emergencies has changed; emergency cash transfers to affected people are increasingly used to respond to disasters. We worked with CaLP to develop the Cash Atlas, an interactive tool to explore who is donating, to which countries and for what causes. 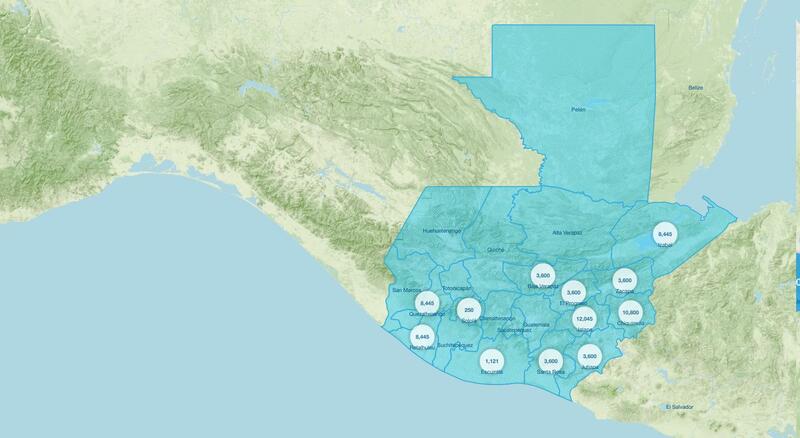 Using open source tools like CartoDB and PHP Symfony2, we were able to provide users with a number of sophisticated analytical tools to explore the data, create live maps and visualisations and generate reports on the fly. Launched in 2013, the data from more than 1,000 projects was uploaded. However, the reliance on voluntary submissions meant that the record was becoming increasingly incomplete and in May 2017, CaLP took the decision to take the Cash Atlas offline. At higher zoom levels, the map would be very cluttered if you had all the data for the smallest level being shown. Progressive disclosure means the data shown is optimised for your current zoom level. And where you select one particular region for analysis, you can see the detail for one and summaries of the neighbouring regions to avoid distractions and allowing you to focus on your work. Cash Atlas includes live visualisations to show the finer details of the data. As you explore the map, the charts change to reflect the new areas you’re interested in. You can also use the filters to ensure you’re only seeing the most relevant data. There is a need to globally assess how cash programmes are being implemented. 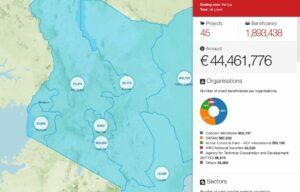 CaLP is developing a cash mapping tool aiming to visually represent the usage of cash transfer programmes at a global level. I appreciate the fact that it's modern and user friendly. The Cash Atlas can be of great benefit for all humanitarian experts and researchers.